Nothing can stop the greatest Indian leader, Modiji, from being the catalyst behind the uniting of all Dharmic people under the one and only Supreme Bhagavan Krishna and also from being the main force of annihilation of all anti Dharmic and anti Bharat Varsh forces, forever. Such is the power of Dharma that he strictly adheres to. The self correcting nature of Mother Nature, can never go wrong. Whenever Adharma raises its ugly head in the world, she ‘chooses’ people that can do her work and set things right. Indians are extremely fortunate to have the most amazing Karmayogi leader, Modiji, who has been chosen and appointed by destiny. He has arrived in order to correct major blunders and crimes committed by people belonging to privileged dynasties. Those people from powerful dynasties, due to their proximity with colonisers and other brutal invaders, took over the great Bharat Mata, and have been passing down the control over her to their younger generations as if she were their own family property. Shameless bootlickers and mental slaves of the dynasties, who benefited from the crumbs they threw around, kept supporting them and continued to make them stronger and stronger. However, the good Karma created by the forefathers of we Indians, who lived and died on our Punyabhoomi called Bharat Varsh or India, got us a Dharmic and powerful PM who was born to lead the nation back into her original position of being Vishvaguru. 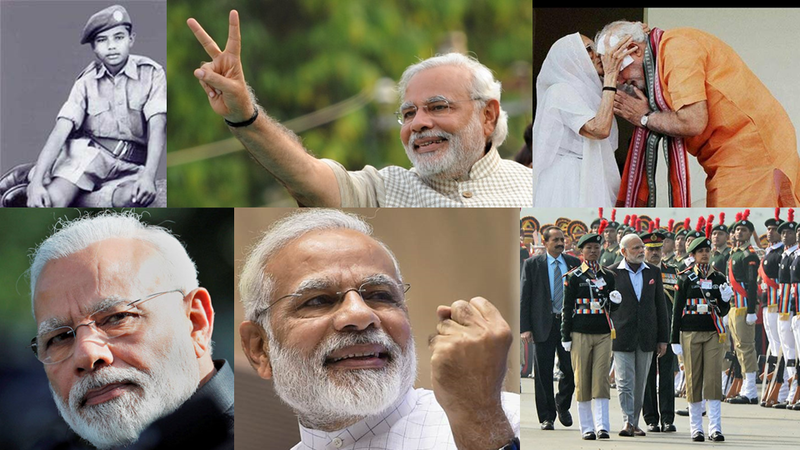 Modiji’s ‘Karmic might’ will also ensure that all evil forces acting against Dharma and Bharat Varsh, will exhaust the entire amount of material wealth they have, in order to fight him who is nothing but a towering mountain of Dharma, values, principles, courage, grit, intelligence and dedication. That’s good because there will be less trouble next time as they would have burned most, if not all, of their money by then, and would not be as rich as they are now. The great mountain called Narendra Damodardas Modi, is certainly a great force to reckon with. Nature, Karma, Destiny or whatever it is, that has chosen Modiji to do the work of establishing Dharma in a world of confused people, must surely be right. How else could a land of over a billion people, that has been under plunderers, marauders, usurpers, colonisers and dynasties for such a long period of time, get such an honest, intelligent, bold, principled and committed leader who has no family apart from the people of the country he leads? India went through a lot of learning experiences, particularly in the last 1000 years of brutal invasions, colonisation and of dynastic rule. Those were necessary for Indians in order for them to recognise different foreign cults that claim to be peaceful and loving while their very foundation has always been to overpower others and convert them into following their warped ideologies. The time of realisation for those whose forefathers converted into foreign cults either due to duress or due to greed, has arrived. Things will change and they will begin to understand that they are nothing but mental slaves of foreign powers. India is now lucky to have an altruistic leader like Modiji whose life story proves that he is a selfless person and born leader. He has no personal interests that he would like to fulfill by being the Prime Minister of the greatest democracy in the world. Well, if at all he does have one, it could only probably be that of being the greatest Prime Minister of India ever – which is good for India and for all Indians. Whatever or whichever action an important person does, others follow him and emulate him. What he does becomes a standard for the others. Save Dharma, save Bharat Varsh, save humanity. May all Dharmic people unite and back Modiji so that he may fulfill his Karmic duty of bringing back India’s lost glory and honour.